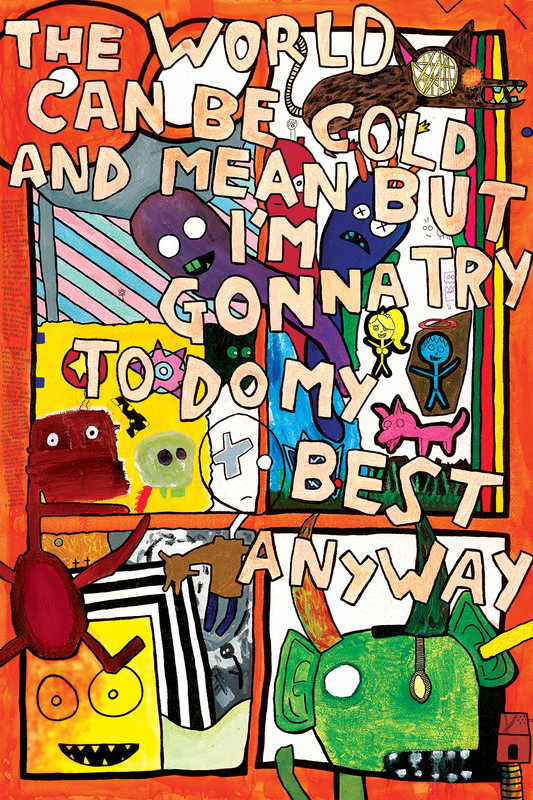 “The World Can Be Cold and Mean But I’m Gonna Try to Do My Best Anyway.” 8/13/14. Acrylic paint. 40×60″. Painted in Chicago between July 30th and August 13th, 2014. Featured in my blog entry for September 22nd, 2014.